BORLA Touring Cat-Back & Rear Section exhaust systems feature patented straight-through and multi-core technology to unleash hidden horsepower. Increased exhaust velocity adds power, driving excitement, fuel economy, and the distinctive BORLA Sound of Power respected by motoring enthusiasts everywhere. 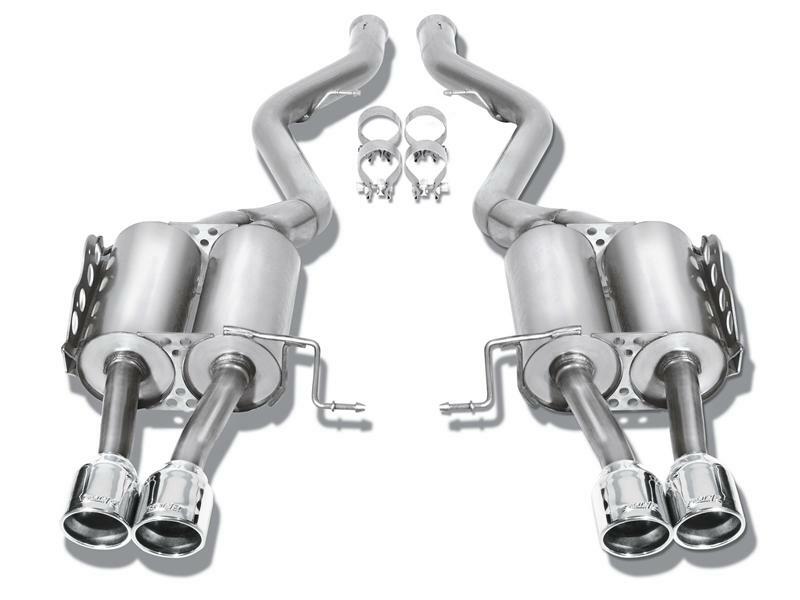 All BORLA exhaust components are tuned for maximum output from any other aftermarket performance upgrade. 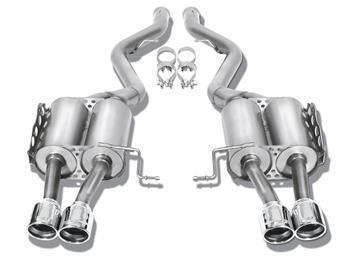 BORLA Touring Series features high quality, austinetic stainless steel (superior to 409 or aluminized), mandrel bent tubing with race-bred straight-through mufflers, unduplicated great BORLA sound of power, backed by an unsurpassed written Million-Mile Warranty. Genuine BORLA, see it, hear it, feel it … then you too will know why Winner’s Choose Borla!